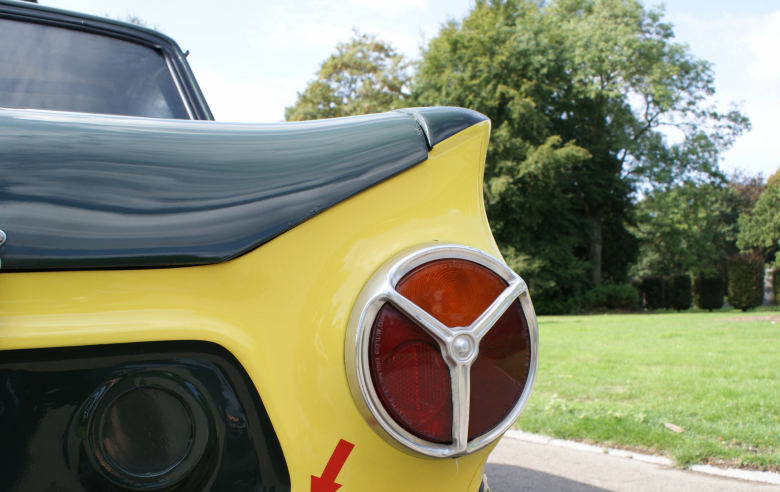 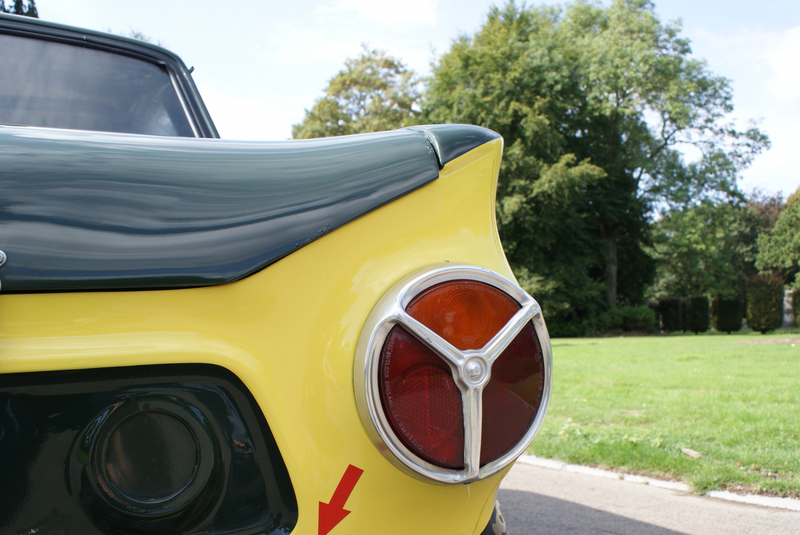 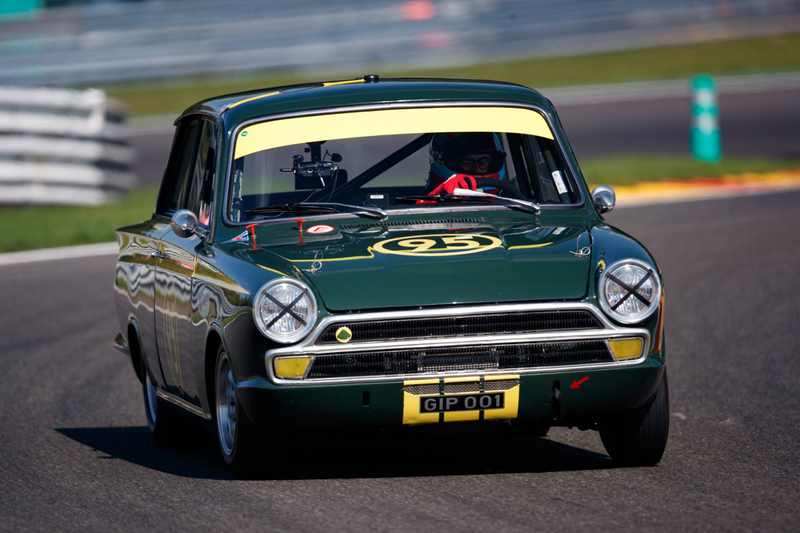 The Lotus Cortina was developed under an innovative partnership between Ford UK and Lotus Cars. 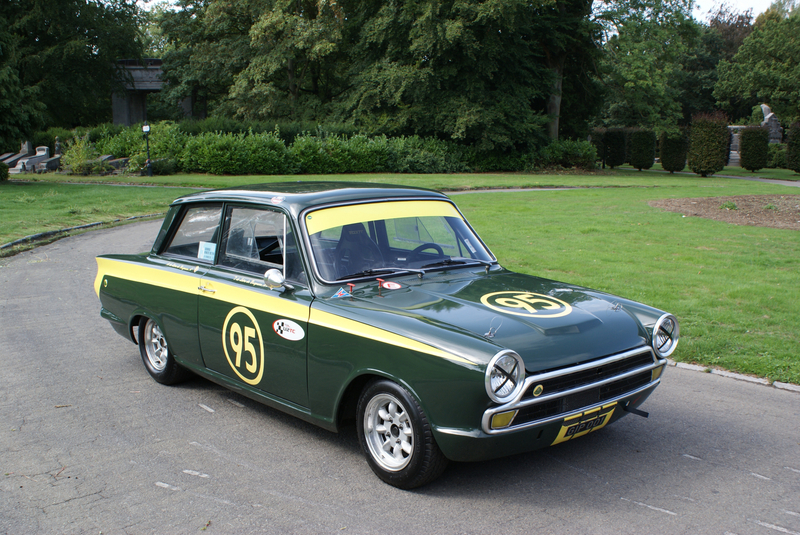 The collaboration began in 1963 using the Ford Cortina Mark 1 sedan. 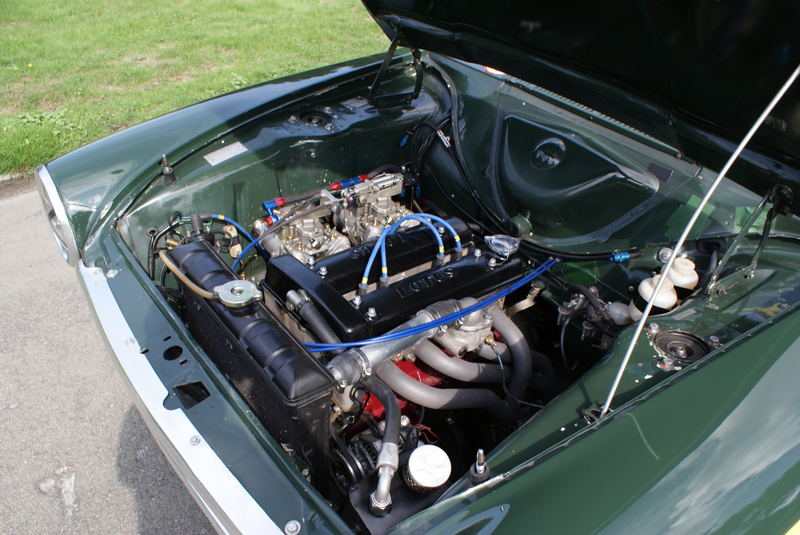 By this time Colin Chapman and Ford had already shared engine development for racing applications including work with Cosworth. Ford UK challenged Chapman to develop a sophisticated and potent twin-cam engine specifically for 1000 Ford Saloons to achieve Group 2 homologation. 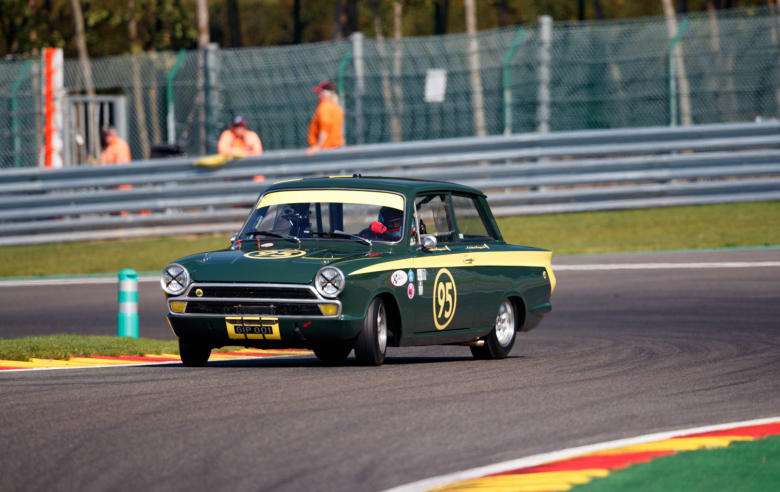 Lotus Cortina making it a formidable player in rally and road racing events. 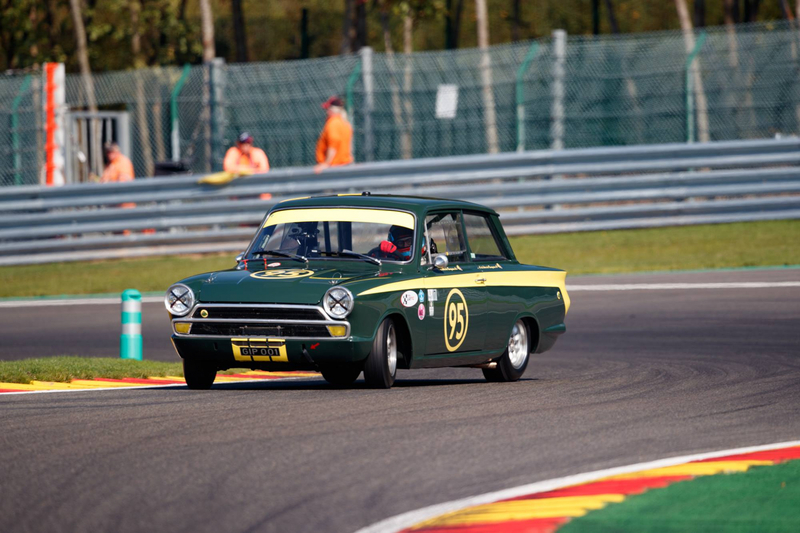 Much like Shelby would do for the Mustang the Lotus Cortina enticed a more youthful population to reconsider the formerly conservative Ford brand. 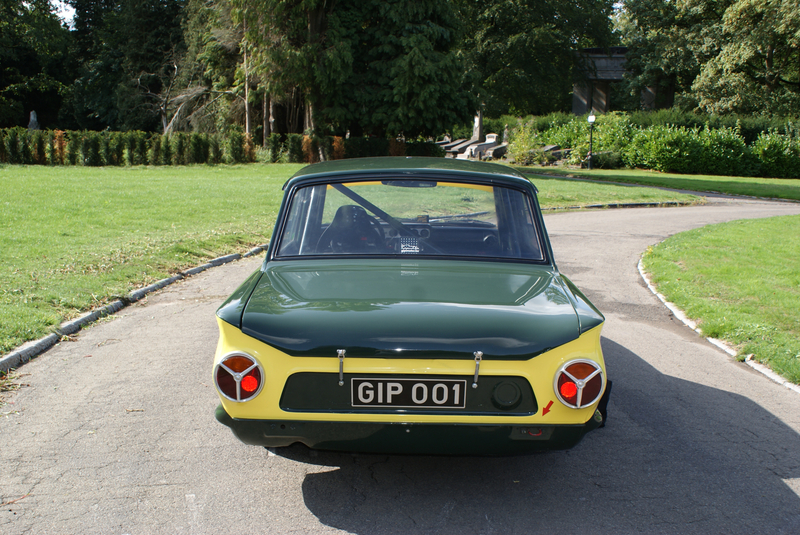 Brisk sales resulted in 3 300 Mark 1 and over 4 000 Mark 2 models being produced. 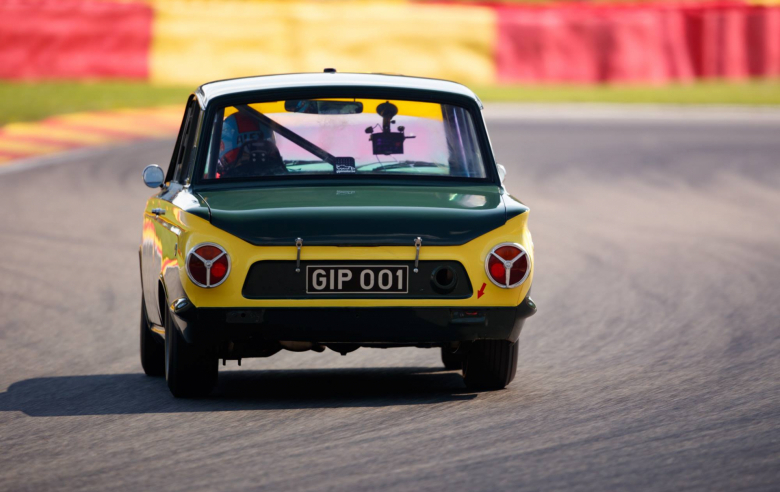 Almost immediately the Lotus Cortina earned a stellar reputation as enthusiasts who had previously considered a Mini Cooper or other sports cars moved to the more spacious and comfortable Lotus Cortina without sacrificing performance. 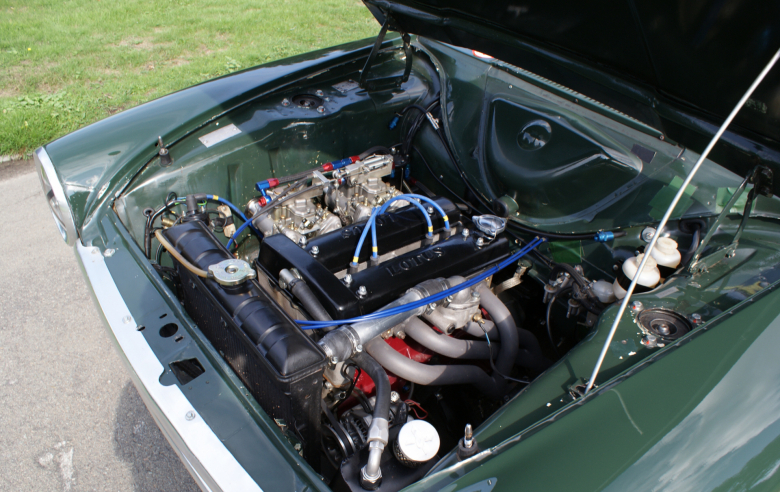 The newly refined 1557 cc 105hp twin cam engine was both capable and durable while the improved handling allowed for great cornering and spirited performance. 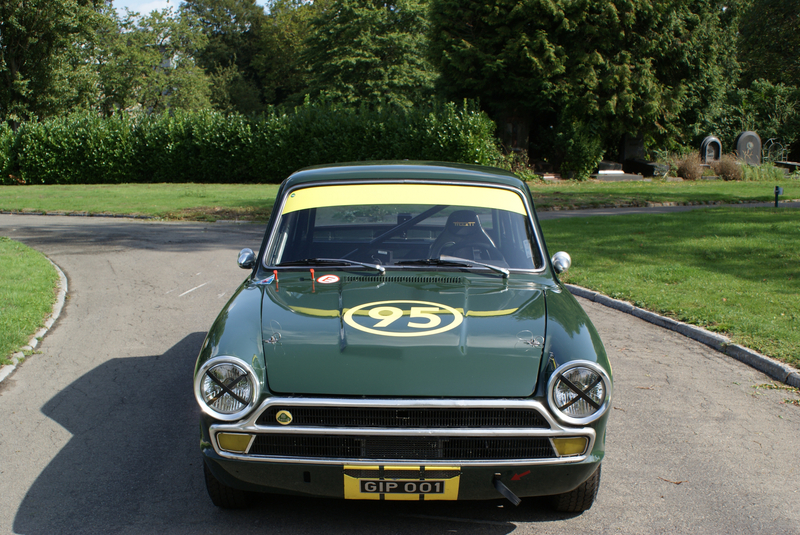 All the cars were painted white with green flashes front corner bumpers and Lotus badges. 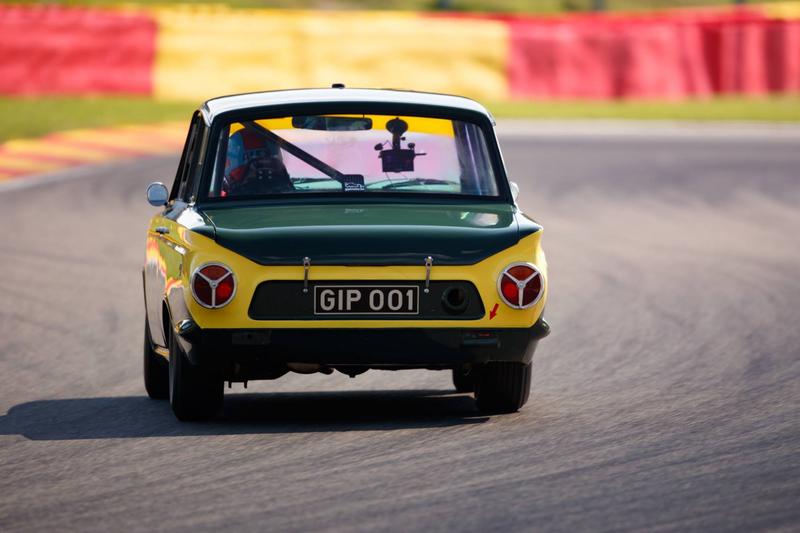 Over the years the Lotus Cortina has developed into a legend thanks to its intoxicating combination of sophisticated driveline and suspension innocuous looks and world-class performance. 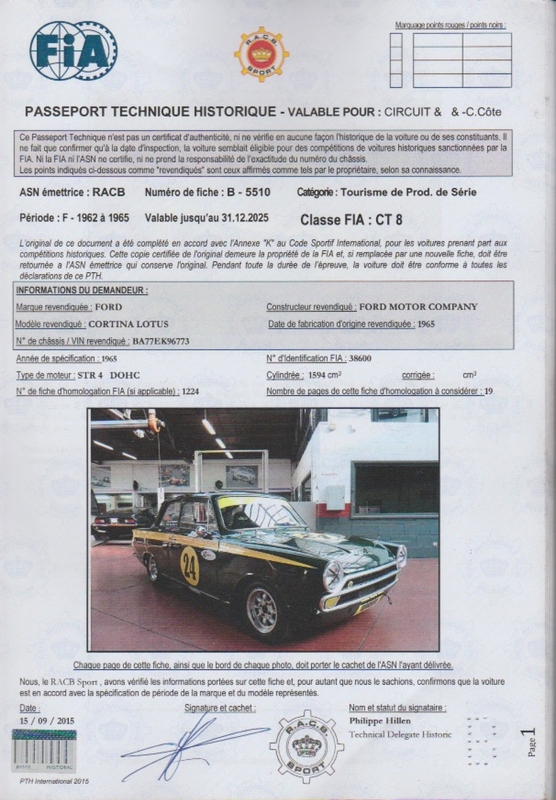 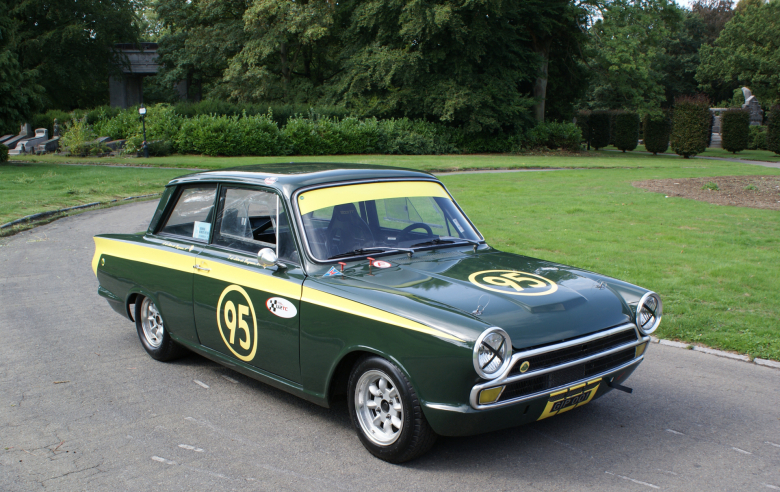 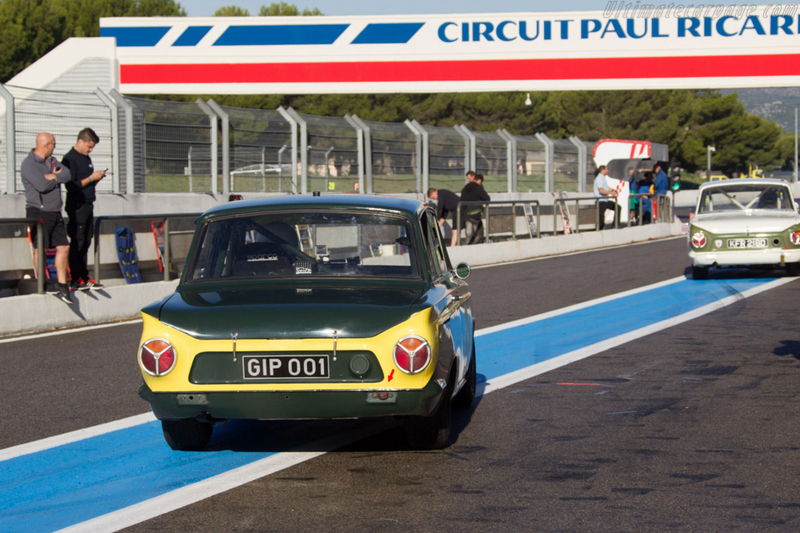 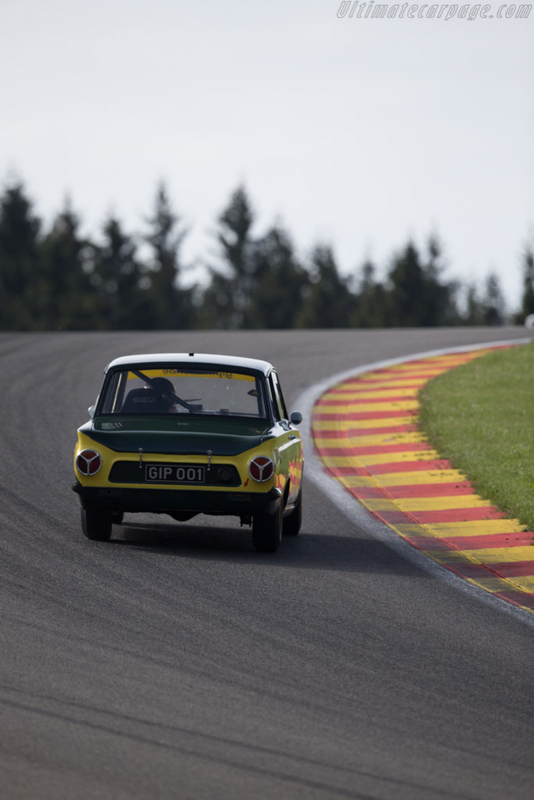 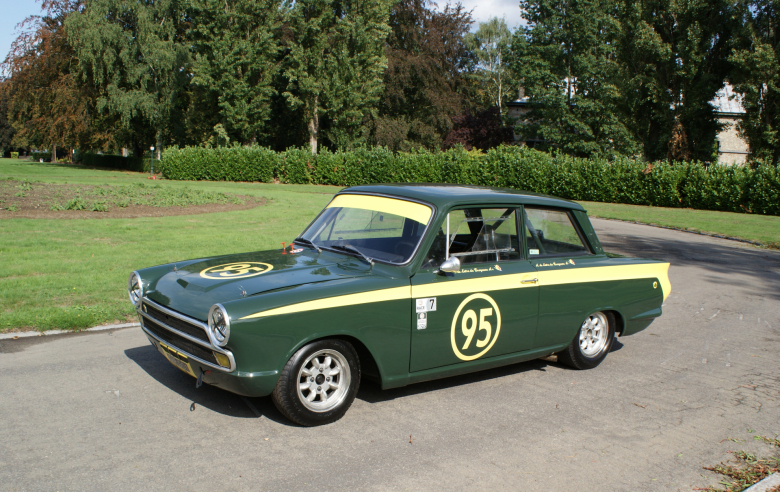 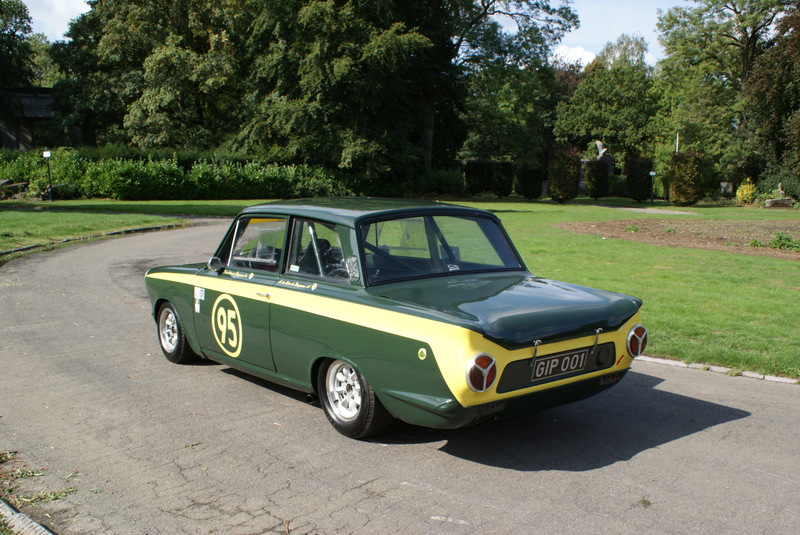 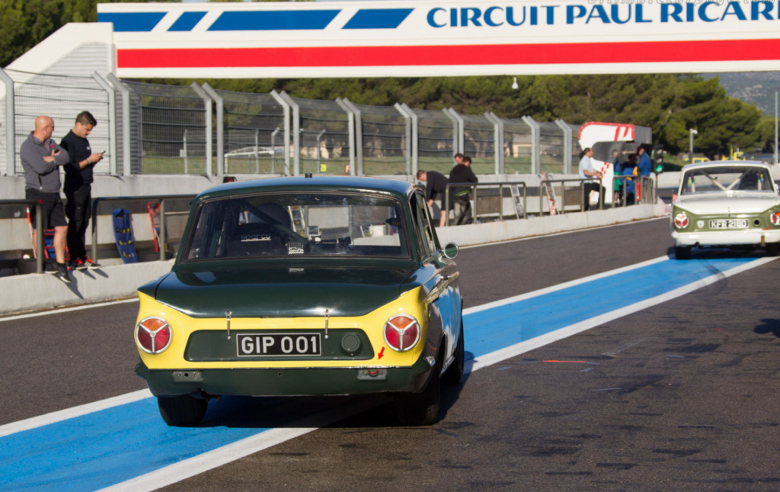 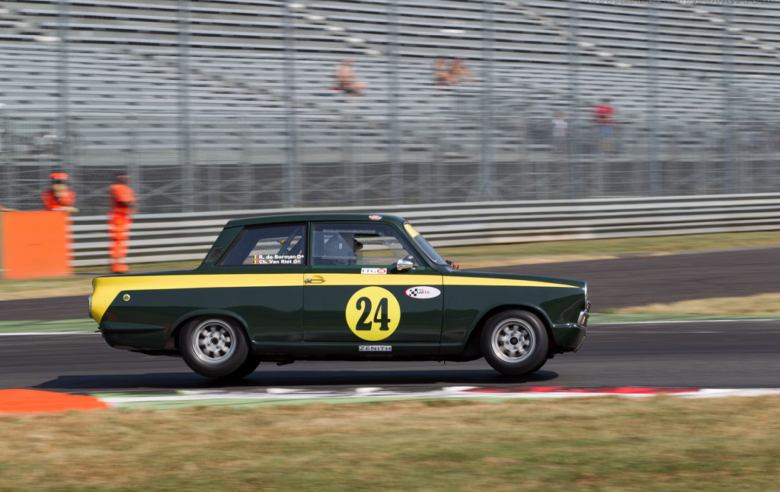 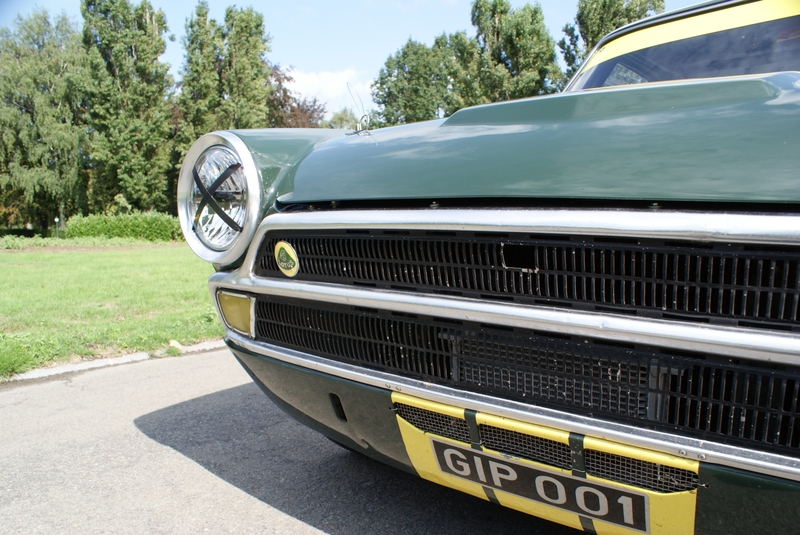 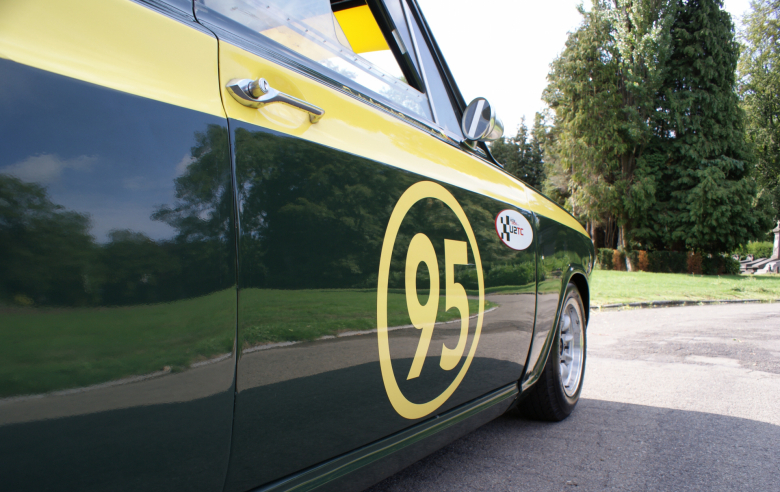 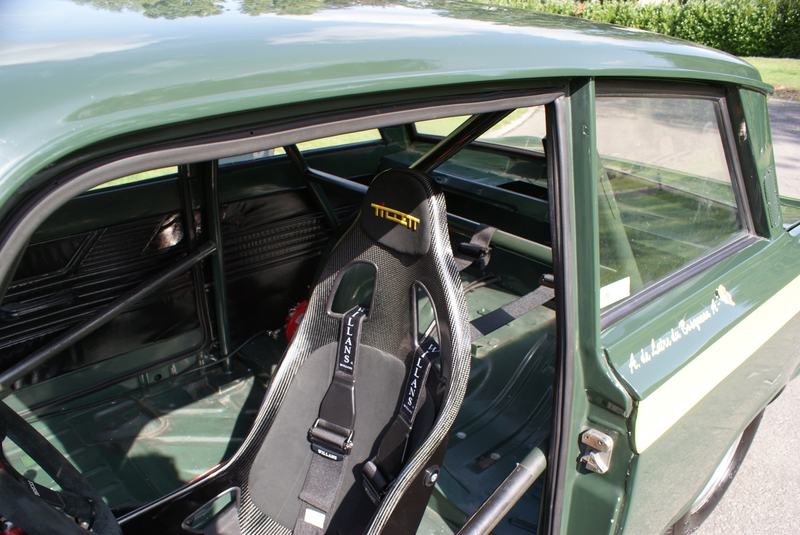 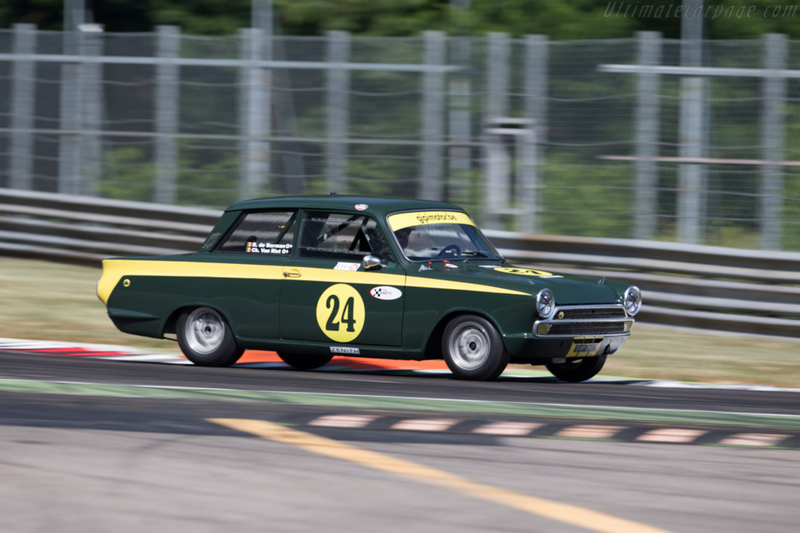 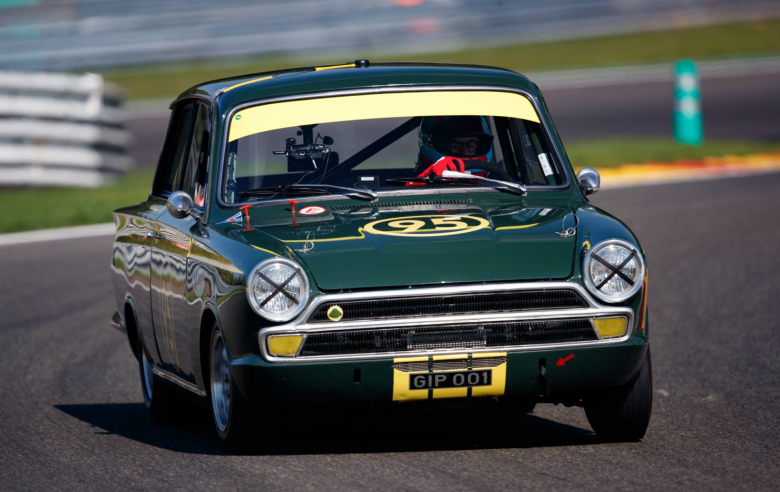 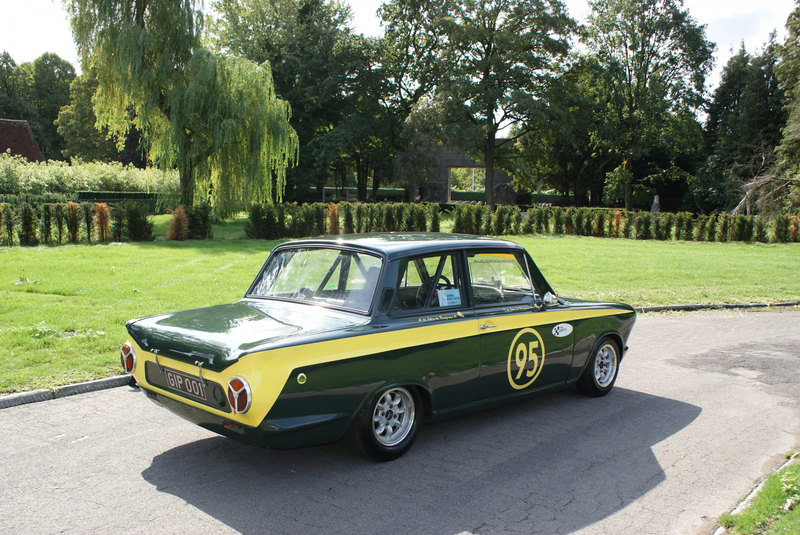 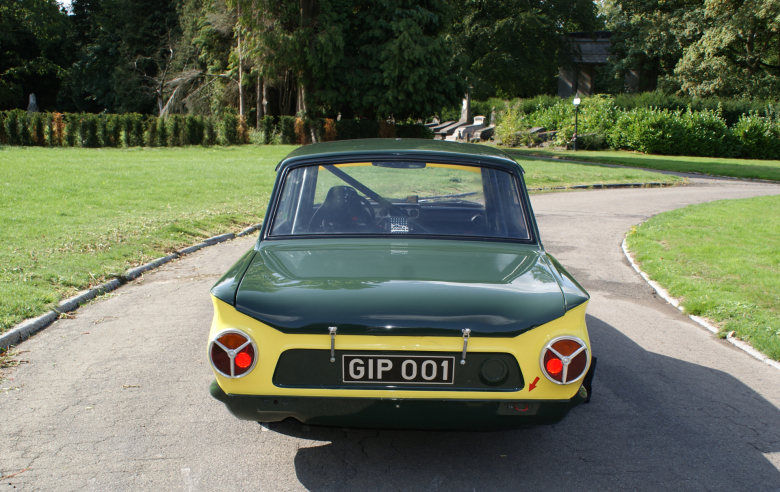 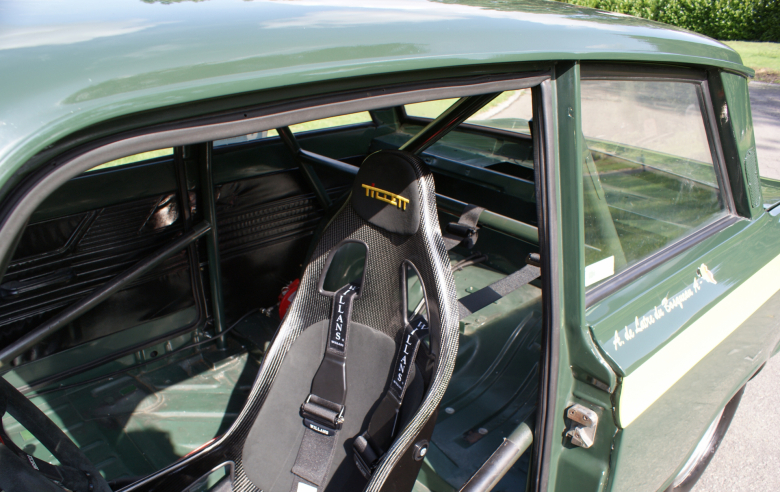 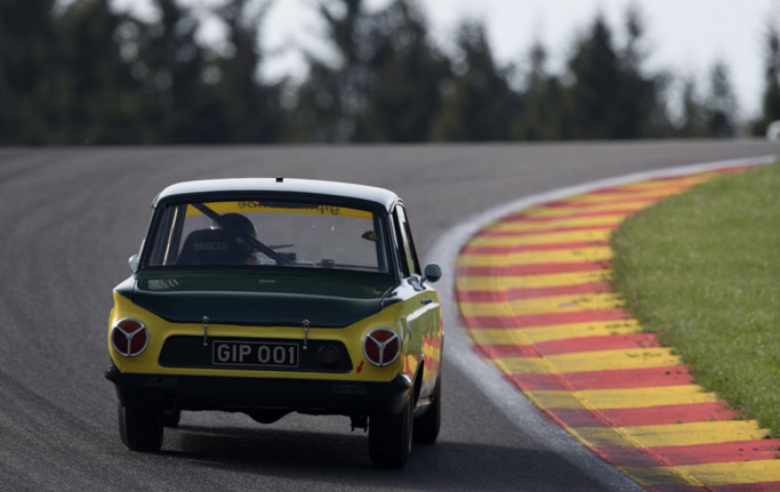 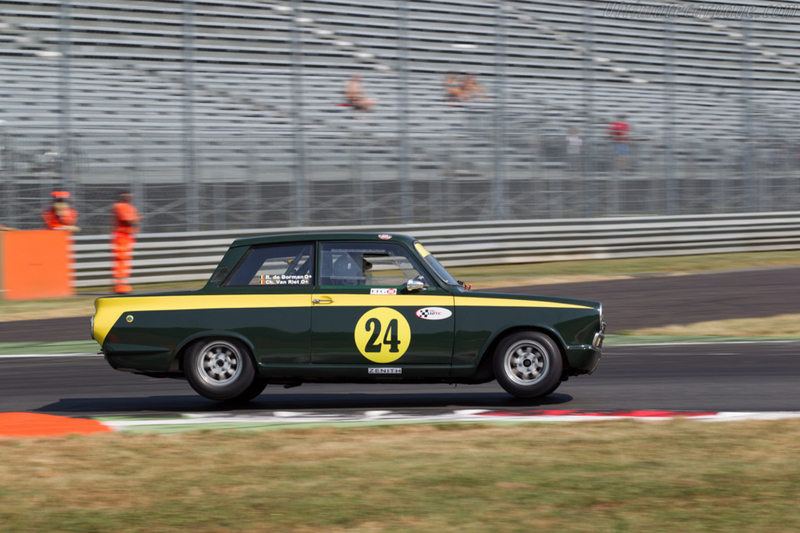 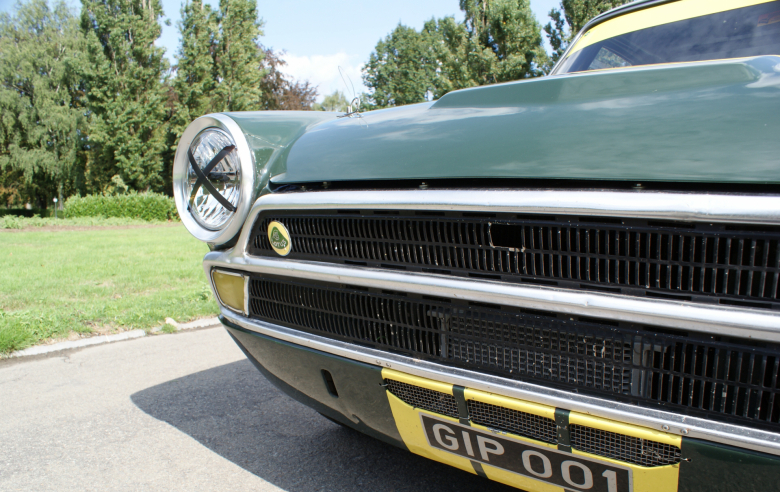 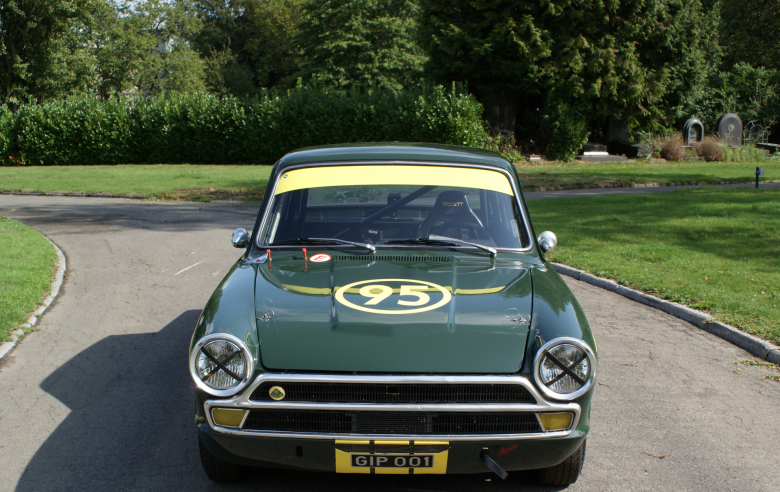 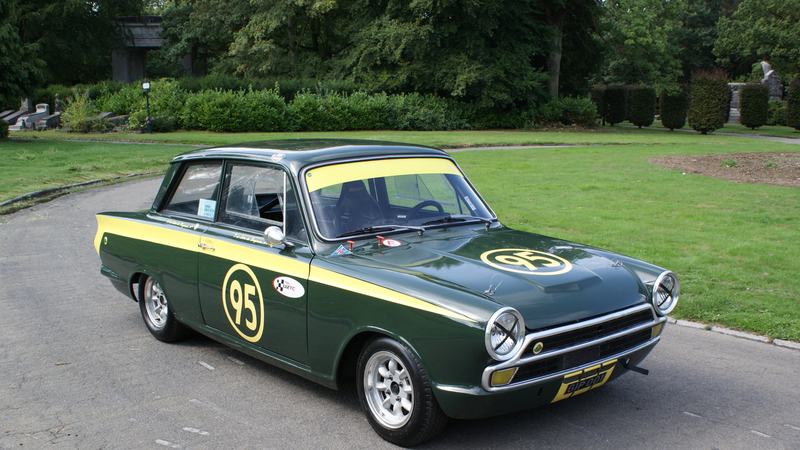 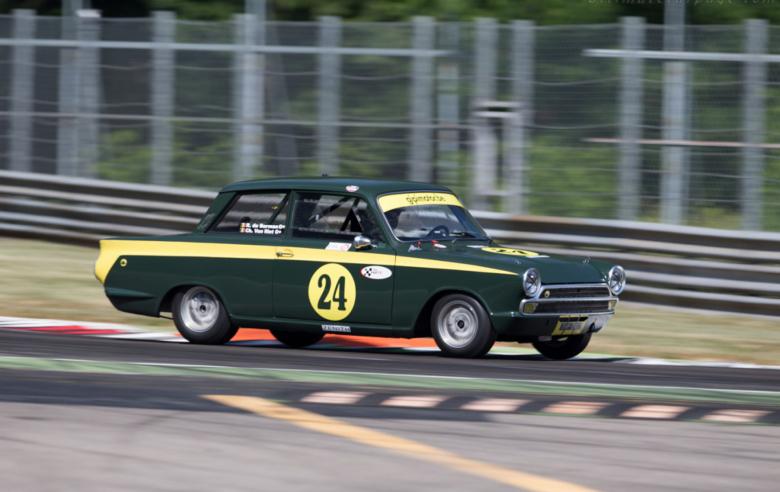 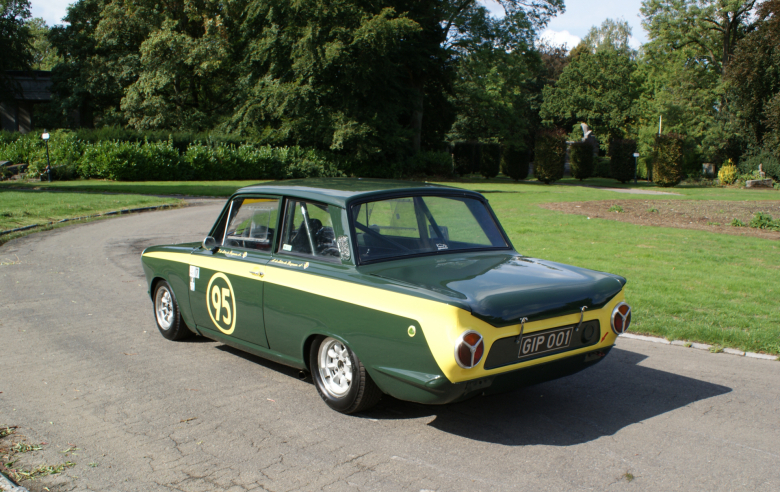 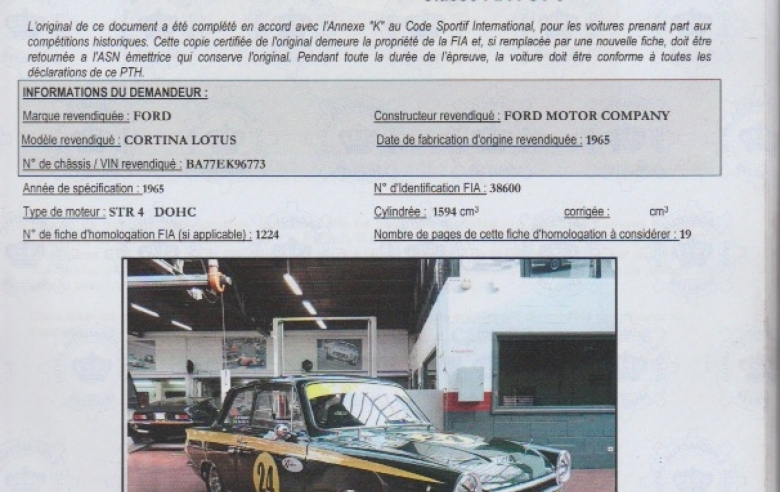 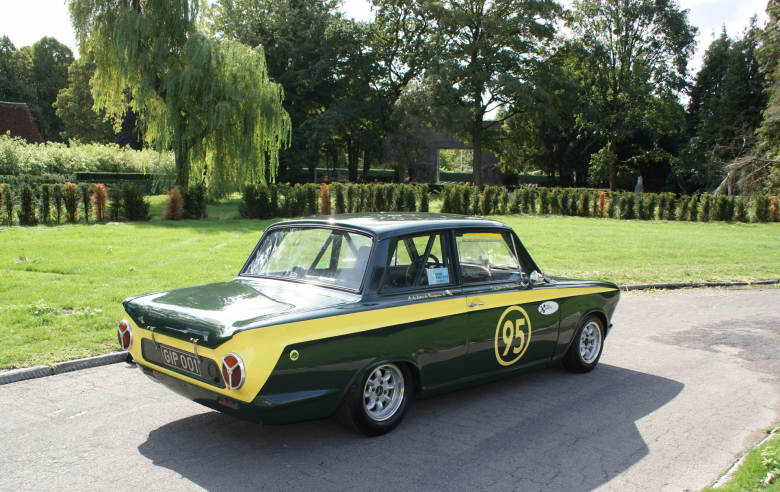 This Lotus Cortina from 1965 has been fully restored by Gipimotor and is ready to race with the eligible FIA HTP.